We’d love your help. 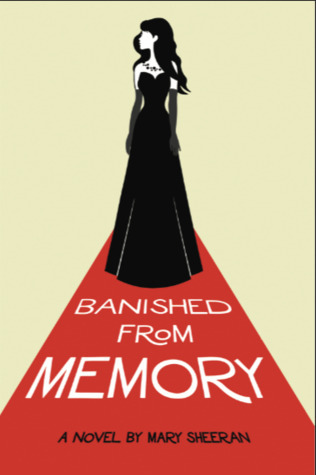 Let us know what’s wrong with this preview of Banished From Memory by Mary Sheeran. It’s 1960. Sixteen-year-old Dianna Fletcher has been accustomed to the bright lights of Hollywood all her life-but now they are casting shadows on her family’s past and on her own future. Dianna fears she is losing her talent and failing to live up to her family’s legacy. When she does land a part, she finds an unexpected enemy in brilliant actor and womanizer, Bill Royce, It’s 1960. Sixteen-year-old Dianna Fletcher has been accustomed to the bright lights of Hollywood all her life-but now they are casting shadows on her family’s past and on her own future. To ask other readers questions about Banished From Memory, please sign up. This book is for anyone who doesn't feel like they belong. However, it's very into technical terms of the behind the scenes of movie making. If that is something that doesn't interest you then you may want to check out some other books. As I had attended Full Sail University briefly, toying with the idea of television writing, I really enjoyed the behind the scenes. That was only a small portion of the book though...and therefore this is the end of the warning part of my review. I must admit whe This book is for anyone who doesn't feel like they belong. However, it's very into technical terms of the behind the scenes of movie making. If that is something that doesn't interest you then you may want to check out some other books. As I had attended Full Sail University briefly, toying with the idea of television writing, I really enjoyed the behind the scenes. That was only a small portion of the book though...and therefore this is the end of the warning part of my review. I must admit when I first picked up the book and tried reading, I didn't immediately connect with the story. It took about four chapters before I started enjoying the story. The written descriptions were the best part of this book. Scenes came alive and I could visualize being inside the novel. I felt the dialogue was good, but not great. Sometimes the speaking felt forced and as if the dialogue was pasted on the back of the speakers eyelid and they were just reading it, instead of speaking with feeling. And then you'd turn the page (or tap the screen in my case as I'm reviewing the ebook) and the next spoken part would grab your mind and be so beautiful. I love that Mary was able to create a story around a not-very-known part of history (The Hollywood Blacklist) and tie in all of these relevant and relatable pieces of 2019, like femininity, Me Too, self-discovery, independence. I thought that the characters were interesting and dynamic, and there were so many elements to make the book a really good read: history, romance, some mystery/suspense. Definitely recommend this book! As both a fan of film history, and of family mysteries, I found this book to be a great read. Sheeran blends punchy writing with a profound respect for the characters in this book. The piece of this that I found most interesting was the historical component: one doesn't need to look far even today to see how ideologies can change art culture. I loved the film history in this book! I had never heard of the Blacklist before, and following Mary's writing through Cold War Hollywood was enthralling. I highly recommend this to anyone who is a fan of film history, and anyone who wants a fresh take on a period that I feel is never written about! I was a big fan of the main character, Dianna. It was refreshing to read a story about a girl coming into her womanhood in a time that was much more restrictive. I thought that Sheeran crafted an honest story that simultaneously gave power to women, and that explored the many ways equality can be reached. I received an advanced digital copy of this book from the author, publisher and Netgalley.com. Thanks to all for the opportunity to read and review. Ms. Sheehan has recreated the Hollywood of the 50's in her novel. At the center is a child star getting older from an iconic film family, unsure of where she stands not only in her career but also her life. The blacklist is in full effect and her family might have something to do with why her newest costar hates her. Thick with behind the scenes detai I received an advanced digital copy of this book from the author, publisher and Netgalley.com. Thanks to all for the opportunity to read and review. Thick with behind the scenes details, this book is historical fiction for classic film fans. Visuals will leap into the imagination of the reader, yet the book doesn't get bogged down in the details. My first novel, "Who Have the Power," began when, after studying women's history, I wanted to explore why there was such a discrepancy between the world of, say, the American West as depicted in movies and television and what actually happened. I focused on the Comstock Lode because I had grown up with the television show, "Bonanza." This series, entertaining as it was, got almost everything wrong My first novel, "Who Have the Power," began when, after studying women's history, I wanted to explore why there was such a discrepancy between the world of, say, the American West as depicted in movies and television and what actually happened. I focused on the Comstock Lode because I had grown up with the television show, "Bonanza." This series, entertaining as it was, got almost everything wrong about women of the West, about the Comstock Lode, and many other things. It took considerable time to write it, as women's stories began coming into libraries in the late 1980s and the 1990s. What took longer were stories of Native American women of the small tribes in California. Not that there is all that much now. The book both criticizes the invisibility of these people to popular depictions of the West and tells a story of how economic plundering just hurts everybody - but the truth will emerge eventually. My second novel, "Quest of the Sleeping Princess," also began with a fascination - of the ballet choreographer George Balanchine. The story concerns a woman who is tending her dying mother, and her one respite is to go to the ballet. She creates a fantasy world that mirrors the Sleeping Beauty, and through the novel, I write about imagination and how Balanchine created his own world.